SPOILER ALERT: While it won't prevent you from being scared by the combo of well-made horror scenes that no words can emulate, this article contains information about the nature of the demons involved, the lore behind them and, to an extent, the way they were used in the story. If you are a horror movie fan, it won't make sense to miss watching these beautifully-made movies. I recently watched the Conjuring 2 and I was stupefied enough to wonder if I forgot to pick up my sanity and left it in the theater. At the first parts of the movie, everyone was still sitting comfortably and laughing like it was no big deal. And as the scary scenes got more frequent, with a series of scenes designed to startle the audience when they least expect it, some pulled up their feet, crouching on the chair. If it was their type of romance, the boys surely got it as the girls started embracing them tightly, some of them crying in fear. At one time, I was even startled by a whimper that I thought was part of the movie and as it turned out, it was just a person behind me. The movie will make you jump in one scene. When you're finally ready for it and expect something to happen, you get nothing, which is a surprise in itself. And when you lower your defense, BOOM! There it was after all. It was like a roller coaster ride, giving us just enough time to breathe. The movie was so amazing that I decided to write about the real-world story of the demons and spirits featured in, not only the Conjuring 2, but also its prequel. At first I thought they just used the name "Bathsheba" for the demon because of the woman in the bible Bathsheba (2 Samuel 11) whom king David saw bathing naked. She was so beautiful king David led her husband, Uriah, to his death in order that the king could marry Bathsheba. However, Bathsheba in the story is not connected to the Bible. It was Bathsheba Sherman, a woman suspected to be a witch, who lived in the estate in the 1880's. (The family in the movie, the Perron family, lived in it from 1970 to 1980.) This suspicion's basis was the death of her infant child who died because of a wound caused by a large knitting needle. There was insufficient evidence, though, to tie Bathsheba for murder of her child that she was not put in jail. This, however, did not stop the townspeople from suspecting that she was a witch. Ghosts are spirits of human beings departed from their bodies. As such, they are seen to be more benign (than demons) and often they just show themselves without harming humans. The ghosts in the Conjuring 1 are the members of the family and house help of Bathsheba, who were suspected to have been killed by her. The child in the music box mirror. One of the daughters played with an invisible child who may be seen in the reflection of a music box just right after the music stops. This ghost did not harm the girl. There was a ghost in the closet who clapped when they were playing hide and clap (where the players were blindfolded, searching for the others through following the sound of their claps). This, too, did not seem to harm them and only wished to play with them. The ghost of the maid appeared to the cameraman, which appeared to be trying to get help. In the film, the dog, Sadie, refused to go inside the house when the family moved in. Then one morning, they found the dog lying dead in the backyard. It is not uncommon in movies to depict a dog as sensing spirits. Dogs have better senses than human beings. These senses might help them sense paranormal forces, if present, which humans do not sense or sense only in a small scale. Dogs have special whiskers called vibrissae, which are embedded deep below their skin. These vibrissae can detect air current, vibrations, and movements in their surroundings. These whiskers make dogs capable of sensing movements in the dark. Dogs have approximately 40 times smell-sensitive receptors than humans. These receptors make dogs good bomb detectors. This also means that dogs can smell stench in the air, however slight it might be. Not only can dogs hear sounds in a distance better than us (four times the distance humans are capable of hearing), they can also hear sounds in an altogether different spectrum than humans. This means dogs can hear sound in a higher or a lower pitch that humans won't be able to detect, however close they come to the source of the sound. Dogs are also capable of magnetoreception, an ability in some animals to detect magnetic fields to help them perceive direction, altitude or location. This means that dogs have magnetic sensitivity that humans don't have. In Conjuring 2, the ghost was a man named Bill Wilkins (who died on a chair due to a brain hemorrhage in real life). His presence was felt only after the two daughters played the Ouija board. The ghost kept on insisting that the family leave the house because it was his. It also caused the sleepwalking of one of the daughters. The Warrens in the film discovered that the ghost was involuntarily haunting the family, and that it was asking for help because the demon won't let him go. They did this through simultaneously listening to recordings, which mysteriously fit, one recording completing the other with words. The demon who controlled Bill Wilkins' spirit was Valac, in the film it was spelt "Valak". Valak had haunted the Warrens even before they went to investigate the Enfield case. The demon was in the form of a tall nun, who showed in a premonition with Lorraine Warren that it wanted Ed Warren dead. Valak was the demon who controlled Bill Wilkins, to serve as a decoy, luring Ed Warren to the house. Valak nearly killed Ed Warren, but Lorraine suddenly remembered that when she first saw the demon in a dream, she wrote its name on her Bible. (Knowing a demon's name supposedly gave one a power over it.) When she realized that its name was Valak, she rushed inside the house to ward the demon away. The hauntings ended when Lorraine Warren commanded the demon, Valak, to go back to hell. In demonology, Valac is one of the spirits king Solomon commanded to build the Temple of Jerusalem by using a magical ring the Archangel Michael gave him to control them. These demons were either fallen angels or children of fallen angels with mortal women. 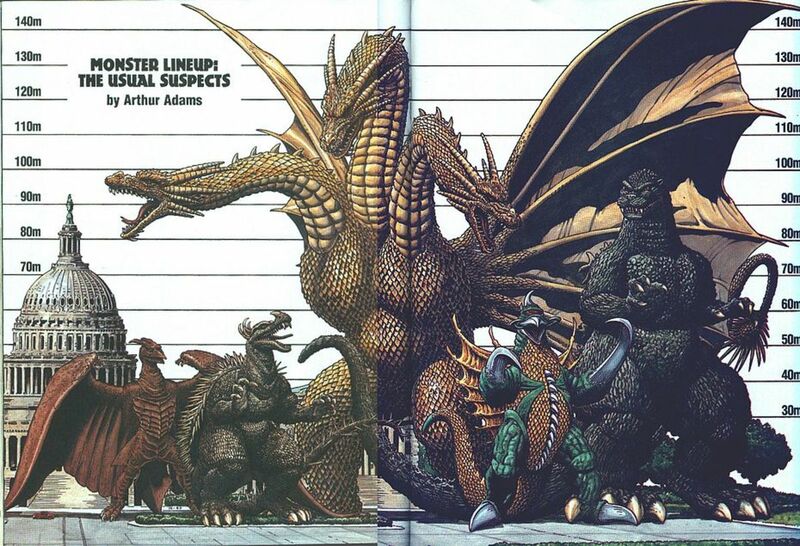 King Solomon captured these demons, along with Valac, imprisoned them in a brass vessel and threw them to the sea. The Babylonians found the vessel and broke them free. All of them, including Valac, returned to their dwelling, with an exception of the demon Belial. These demons were later referred to as the 72 Spirits of Solomon, Spirits of the Brazen Vessel, or the False Monarchy of Demons. An ancient spell book, the Lesser Key of Solomon, gives instructions of how to exorcise these demons. Which movie did you like best? Neither of them. I want to be scared more. 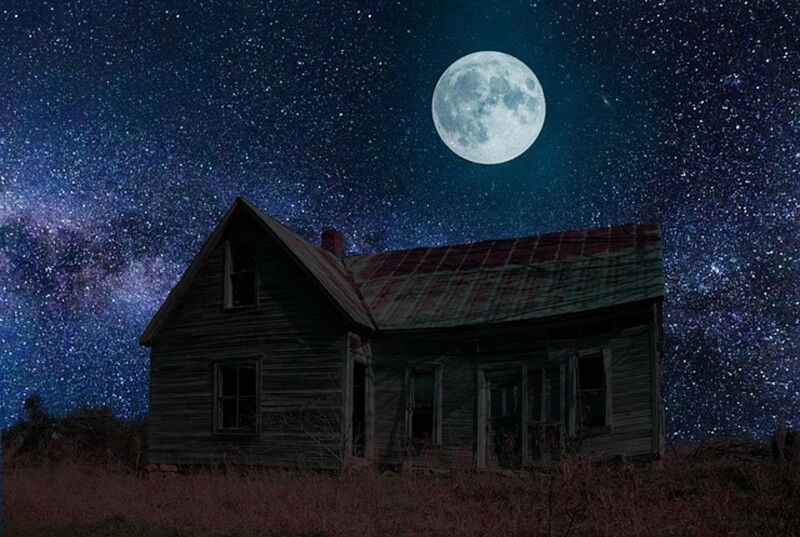 The German term "poltergeist" means "noisy ghost". These ghosts can move objects, make knocking sounds and touch people (pinching, tripping or pulling them). They are often equated to presences that like making loud noises. In movies, they are depicted as loud banging on walls, walking or running noises on ceilings, doors suddenly closing, glass breaking, and objects levitating and falling loudly. They are often connected to disturbed teenagers in the height of their sixth sense. Teenagers are said to attract poltergeist spirits or cause the poltergeist phenomena themselves through their psychic abilities. Psychokinesis or PK in parapsychology, although yet to be proven through experiments, has not been disproved either. There are simply a lot of strange phenomena that science cannot prove. These include metal bending (featured in the Conjuring 2 but was faked there by the possessed daughter), levitating objects, and telepathy. What is the Cross of St. Peter? 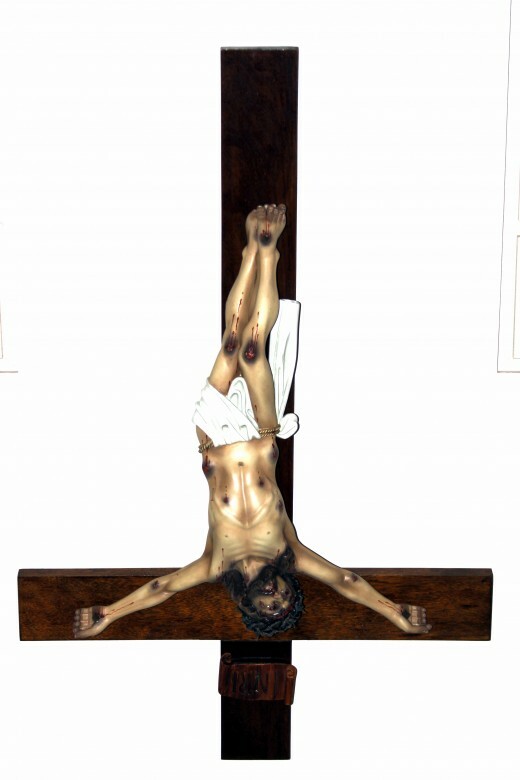 Saint Peter, who did not feel worthy of being given the same treatment as Jesus, asked to be crucified upside-down. The inverted cross consequently became known as the Pertine cross or the cross of St. Peter. It symbolizes the Pope who succeeded St. Peter as leader of the Church. 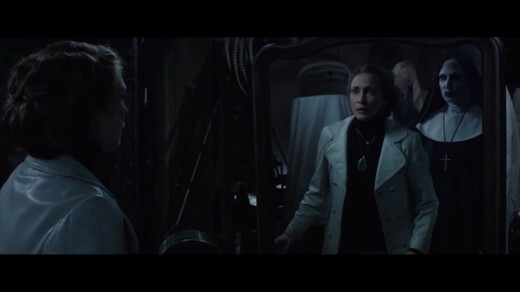 In Conjuring 2, when Janet was trapped inside the haunted room, the crucifixes that her mother pinned to the wall to ward off the ghost turned upside-down. Very truly I tell you, when you were younger you dressed yourself and went where you wanted; but when you are old you will stretch out your hands, and someone else will dress you and lead you where you do not want to go.